Tribales EP serves up a little bit of every genre to please all tastes. Enrique B. showcases great talent that has propelled his status upward and beyond in the borderland. As part of the DCM bestsellers team from Juarez Mexico, Enrique B. delivers a very promising release. 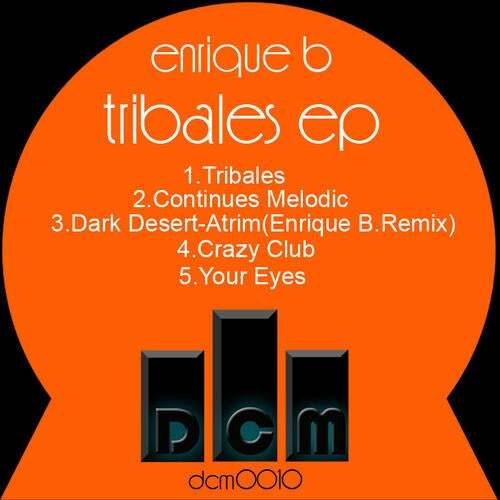 Tribales brings to light Enriques true passion for creative, progressive ,driving minimal tech works featuring a remix of Atrims-Dark Desert is proof Enrique B is worthy of his reputation as part of Juarez Mexicos most talented. Your Eyes is a gem on this release its a very warming and inspiring progressive track just on the edge of house and tech nonetheless this track will surely be a huge favorite.